Story Title: Do You Believe In Destiny? 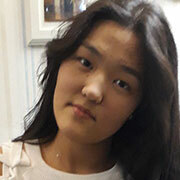 Ainabek Rukhsana studies in Nazarbayev Intellectual school of Pavlodar, Kazakhstan. This 15 years old kid likes singing. She participated in different singing competitions. She likes dancing to popular songs during her free time. Writing short stories is her other hobby. When she grows up, she wants to open her own cafe with a small library inside. 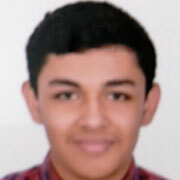 Story Title: "... And Award Goes To..."
Akshaj lives in Bangalore and he studies at Ekya school. His hobbies are reading and writing. He believes that these are some of the things that help him express himself and also keep him well entertained. He wants to be a famous writer who can write books as entertaining and fascinating like the Harry Potter series. And he really hopes that he is working hard enough to reach that point. 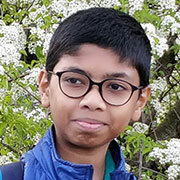 Anamoy Moitra is a Class X student of SRDAV Public School, New Delhi, India. He is an avid reader and harbor great interest in reading detective thrillers. He is highly inspired by the writings of Sir Arthur Conan Doyle. Writing stories is his passion. He loves to create and weaves the plots of his stories in such a manner that all the main and fine points blend towards the end making the climax unpredictable. He believes that one cannot become a good writer unless one is passionate about reading. 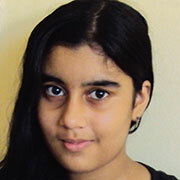 Ananya is a home-schooling student of standard 9. She loves to read, write and draw. Her interest in reading came from the folktales she read at the age of four and to be honest it has not shown any sign of petering out since then. In her spare time, she also enjoys knitting and drawing. She aspires to become a successful novelist one day. 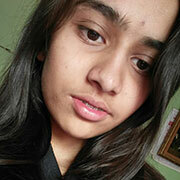 Anupa Khanal turned 14-year-old just recently. A 9th-grade student in L.R.I School (Kathmandu) Nepal, she is an avid reader and loves reading fiction to get rid of the monotonous life. Writing came as a byproduct of reading. Her favourite book is ‘The Faults In Our Stars’ by John Green. Besides writing, she loves exploring the nature and travelling is something she can do all the time. In the near future, she aspire to be a social worker as well as a writer. Bharati Rajesh is studying in Bharatiya Vidhya Bhavan's Public School (Vidhyashram). Her hobbies include writing, singing, swimming, sketching and reading (a lot). Her goal in life is to make herself immortal. She wants to live forever through others with good activities. 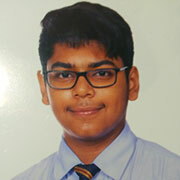 Bhavik Goplani is a grade 10 student in JSS international school Dubai. He aspires to become an astrophysicist as he wants to know everything about the cosmos. He loves to read books especially mystery and thriller ones. His hobbies include playing football, sketching and also playing the piano. His goal in life is to become a successful person and serve the society for the good of humanity. 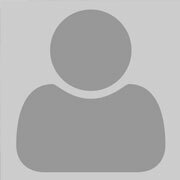 Daksh Varshney lives in a small town in UP India and he studying in S.P.S International Academy. His hobbies are playing chess, singing, playing football, reading novels and stories in the free time, and writing Poems. 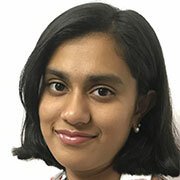 Devika Menon, aged 16, is studying in Global Indian International School (Singapore). She enjoys reading, dancing and listening to music. She has always been fascinated by how words create worlds since she started reading Enid Blyton as a child. She is an avid reader of Dan Brown's books. 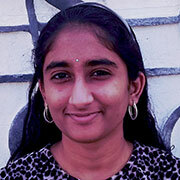 She is learning Indian classical dance and loves performing different dance forms as well. She enjoys writing poetry and short stories. Her ambition is to do research in the field of microbiology. 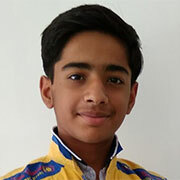 Divyajyoti Katoch lives in India and goes to Highland Public school, Sudher as a 10 grader. She aspires to become a Politician when she grows up. For her, Writing is a mirror to her feelings. Erna Fajkovic is an aspiring writer and lover of general literature. A few of her favorite authors include Stephen King and Agatha Christie. Her hobbies include singing and drawing but writing makes her feel like a different person. 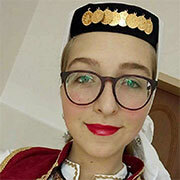 She is a student of International High School of Zenica in Bosnia and Herzegovina. Her biggest dream is to travel the world and one day establish her own fundraising company for children with health issues. 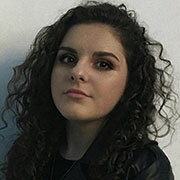 Evangeline is 15 years old and residing in Abu Dhabi, the capital city of UAE, where she attends St. Joseph’s School. 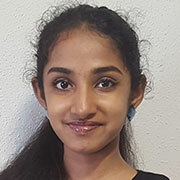 Besides writing and putting her thoughts on paper, she also enjoys drawing, hand lettering, doodling, reading stories she can relate to and learning different languages. She loves writing, because it helps her put elements of her life into others’ and create new characters with their own stories. She wants to become an Architect in the future, because it includes art, especially sketching, which is something really dear to her. Ana Maria Gaure is a romanian girl with big dreams. She is studying at National College "Unirea" Focsani. She enjoys drawing, singing and of course writing. Her biggest dream is to become a doctor and help other people. She also wants to travel all over the world and discover the nature. 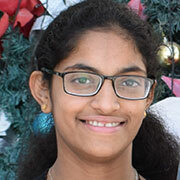 The grade 9 student Ishana loves crayons, crafts and recycling. 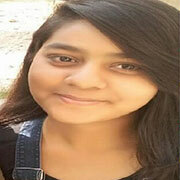 She is studying in Delhi Public School, Etawah (Uttar Pradesh, India). She has been called a “serial hobbyist”. There is so much to be interested in, to learn about, and to pour one’s creativity into. She wants to become a pilot when I grow up. 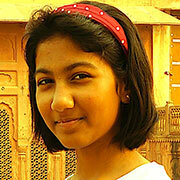 Koneshka Bandyopadhyay isa student from grade 10, currently studying in the school, JSS International. He wants to become an astronaut but writing has always been one of his favorite things in life. He likes to start a career as a novelist and publish various books under his name. He is very fond of writing. He started writing books from the age of 12 and still loves to write. He wants to make an impact in this world, which he believes, can be achieved through Literature. 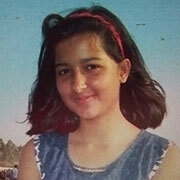 Ranya Zara Bimbrahw is a student of Grade 8 at Pathways School, Gurgaon. In her free time, she enjoys photography, painting, and spending time with her dogs. In the future, she wishes to pursue a career related to sciences, most likely astronomy. She wrote this story because she believes in equal rights for all, and particularly transgenders because not many stories are written about them. She wanted to be unique, and so selected this topic. Aidana Zhumabekova studies in Nazarbayev Intellectual School of chemistry and biology in Pavlodar. His hobbies are dancing, and reading. He wants to be one of the best ecologists of his country since he cares a lot about environment. Becoming an outstanding rap dancer is his other ambition. He also wants to do things that are beneficial to the society.